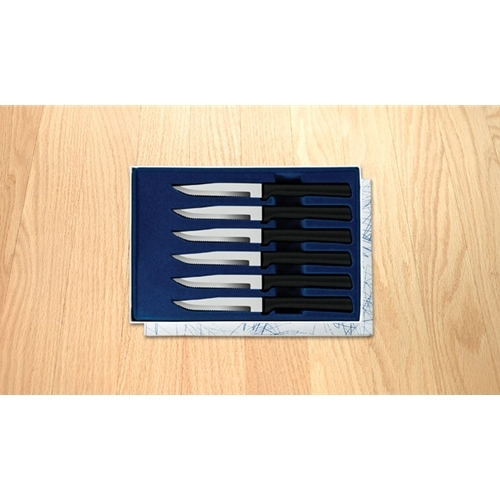 A full setting gift set with six Serrated Steak knives. Mini serrations cut through Porterhouse Steaks Ribeyes and Pork Roasts. Nice Anniversary gift!